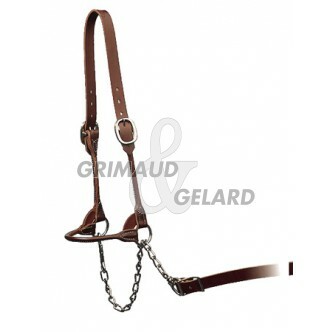 One of the famous halters, with rounder leather on nose and cheeks. Adjustable headstall on each side through two buckles. Attachment steel nickel-coated chain with a leather rein end piece. Carefully finished and polished.